The New Quebec Crater, or Pingualuit Crater, is a young meteorite crater, by geological standards, located in the Ungava Peninsula of Quebec, Canada. 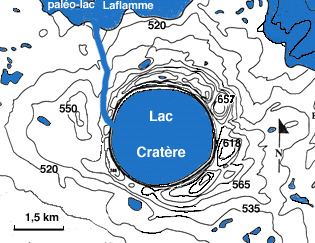 It is 3.44 km in diameter and the age is estimated to be 1.4 ± 0.1 million years (Pleistocene). 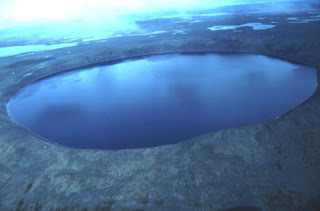 The crater is exposed to the surface, and a 250 meter deep lake fills the depression.